In 1871 the Swiss began looking for a replacement for their muzzle loading pistols. During their trials, they examined pistols from Galand (a French design), Smith & Wesson (an American design), and Chamelot & Delvinge (a Belgium design). Each design was then modified by Major (later promoted to Colonel) Rudolf Schmidt and tested at the Thun Arsenal. In the end the modified Chamelot & Delvinge design won. 900 Model 72s were produced in Belgium, and were amongst the last Swiss designed, foreign produced weapons ever purchased by the Swiss. While the 1872 was originally designed to fire rimfire ammunition, nearly all of the revolvers were converted to fire centerfire ammunition. The converted revolvers were re-designated Model 1872/78s. In 1878 specifications were laid out for a new revolver design. 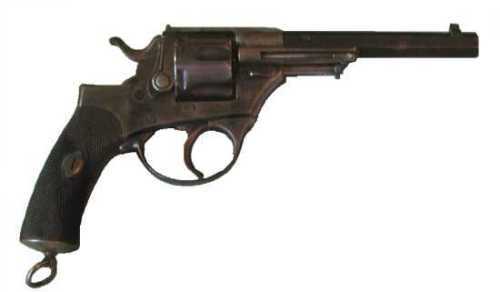 The Model 1878 would be the first domestically produced revolver in Swiss Army service. The Model 1878 was intended for use by the Calvary. Originally, a lighter variation of the 1878 was planned for the Infantry, but with the adoption of 1882, these plans were discarded. Exact production figures are unavaliable, but it is estimated that between 5500 and 6000 were produced. The Model 1878 fired a .41 caliber lead bullet, weighing 193grs at approximately 600fps. The Model 1882 was another of Colonel Rudolph Schmidt's designs (not a Nagant design as many believe.) The revolver was designed around the 7.5 caliber round. The 1882 was a simple and effective design, with at least one example remaining in service until 1964. 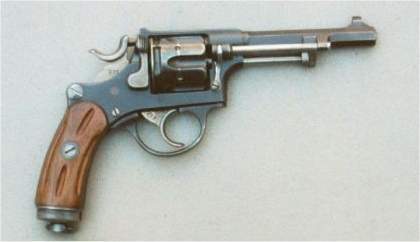 Model 1882 with serial numbers under 20,000 were fitted with plastic grips. Model with serial numbers over 20,000 had wood grips. In addition a small number of Model 1882 were manufactured with a strengthened and fixed lanyard loop for the Swiss Bicycle troops. A special holster/shoulder stock was designed for the Model 1882 by Colonel Schmidt, but was never adopted. A total of approximately 37,250 1882 were produced. The Model 1882 fired a .30 caliber lead bullet, weighing 108grs at approximately 690fps. The Model 1882 proved popular enough to continue it's use, despite the fact that the Luger had been in service for many years. The Model 1882 had the advantages of being easy to load and operate, they were easy to field strip, and they were inexpensive. However, by the end of the 1920s, many 1882 had reached the end of their service live. As a result, steps were taken to upgrade the design. The Model 1889/29 possessed a simplified design and strengthened frame. Over 18,000 were 82/29s were produced. 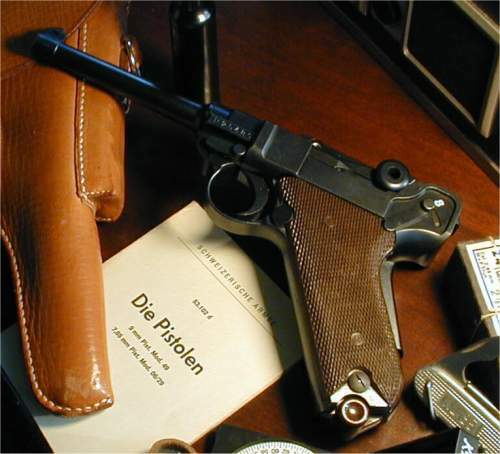 The Luger may well be one of the most recognizable pistols in the world. However, what many may not recognize is that Switzerland was the first nation to adopt the Luger as a military sidearms. 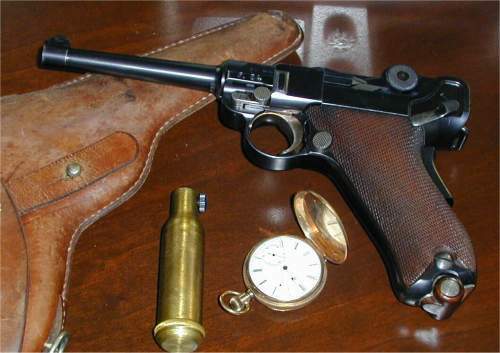 There were three main variations of the Swiss Luger pistol. The Model 1900, Model 1900/06 and Model 1906/29. All three Models of the Swiss Luger were chambered for the .30 Luger round. The Swiss version of the .30 Luger fired a .30 caliber round, weighing 93gr at approximately 1200fps. The Swiss government formally adopted the Model 1900 Luger on April 2, 1901. The earliest pieces were manufactured by DWM in Berlin. The 1900 differed from later models in that it possessed scalloped toggle knobs. 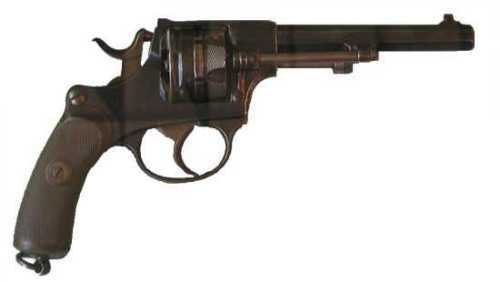 There were also a number of variation within the Model 1900 series itself. Over the course of it's production run, the grip safety was widened, the safety catch was alterend, the magazines was improved and grip was altered to to accommodate the change, and a wide trigger variation also exists. Model 1900s had serial numbers starting at 1 and ending with 5000. In addition,. one of the variations was numbered A5000 to A5100. In 1906, DWM introduced an improved design. Amongst the changes were rounded rather than flaired toggle knobs, the recoil spring was changed from a flat spring to a coiled spring, the bolt head was repositioned and the extractor was strengthened. Nearly half of the approximately 33,000 1900/06s were produced by DWM in Berlin, however, beginning in 1918, the remainder of the 1900/06 series was manufactured at the Bern Arsenal. 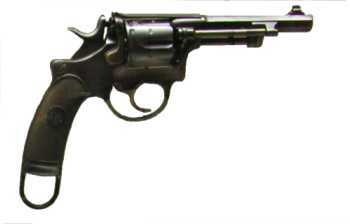 DWM Model 1900/06s were numbered from 5001 to 15,215. Bern Arsenal 1900/06's were numbered 15,216 to 33,089. 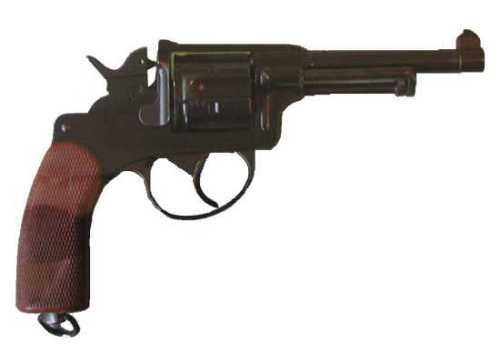 The Model 1906/29 was an attempt to produce a simplified version of the 1906 design. The 1906/29 featured an improved grip, lengthened grip safety, plastic grip panels, and a U-shape rear safety notch. Model 1906/29s were numbered 50,011 to 77,941. Picture courtesy of Stanley Pelet. 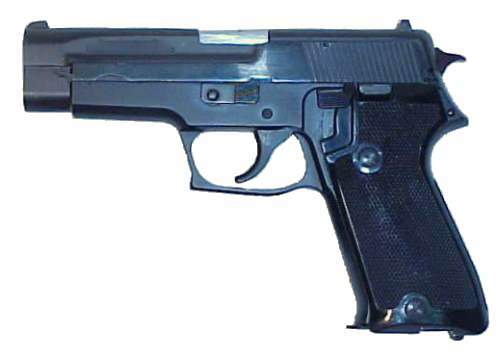 Description: The SIG P210 is generally considered to be one of the finest Military Semi-Automatic pistols ever built. 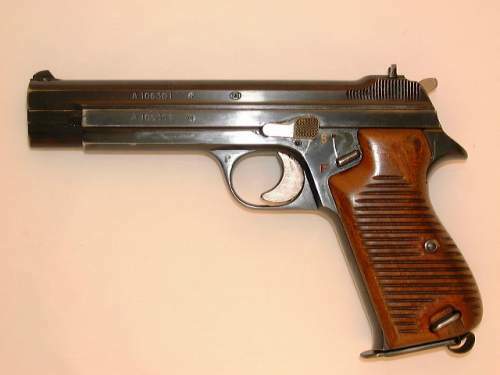 The SIG P210 owes it's linage to the French 1935A. In 1937 the Swiss licensed the design, and began development of their own. There were several intermediate designs including some 15 & 16 shot variation, but eventually, the 8 shot design was settled upon. The SIG P210 is built with extremely high tolerances. This makes for an accurate albeit expensive sidearm. Another feature thought to improve accuracy is the slide rails are on the inside of the frame. This feature was later copied by the Czech CZ-75. 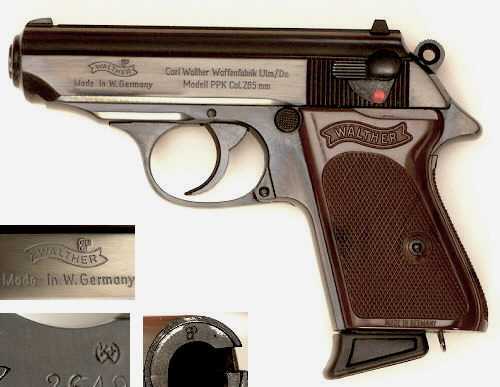 In the early 1960s, the Swiss decided to equip their Air Force personnel with Walther PPKs. In 1964 they received a batch of 419 PPKs, which were designated Model 1965 Fliegerpistoles. 415 of the original batch had alloy frames and were intended for use by pilots. The remaining 4 as well as another 315 pistols received in the early 70s had steel receivers and were intended for ground personnel. Description: The current Swiss sidearm. The SIG P220 is part of a family of pistols which are highly regarded for their accuracy and reliability. The SIG P22x series serves with armies and police forces throughout the world. Both the P210 and the P220 were chambered for the 9mm Luger Round. The Swiss version of the 9mm round fired a 125gr round at approximately 1100fps. Pistolen und der Revolver der Schweiz seit 1720 by Kriss Reinhart and Jürg A. Meier, 1998, Verlag Stocker-Schmid, Diekton Zurich, Switzerland. Schweizer Faustfeuerwaffen/Armes de poing suisses/Swiss Hanguns by Frtiz Häusler, 1975, Frtiz Häusler Frauenfeld, Switzerland.